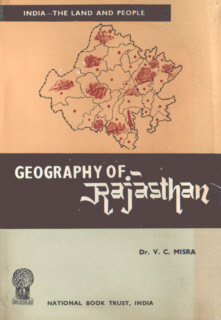 Misra, V. C. [Vinod Chandra]: Geography of Rajasthan. 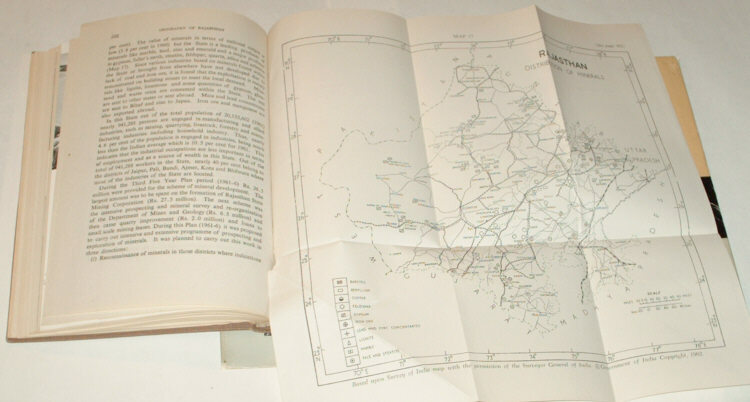 New Delhi: National Book Trust March 1967 (Phalguna 1888). 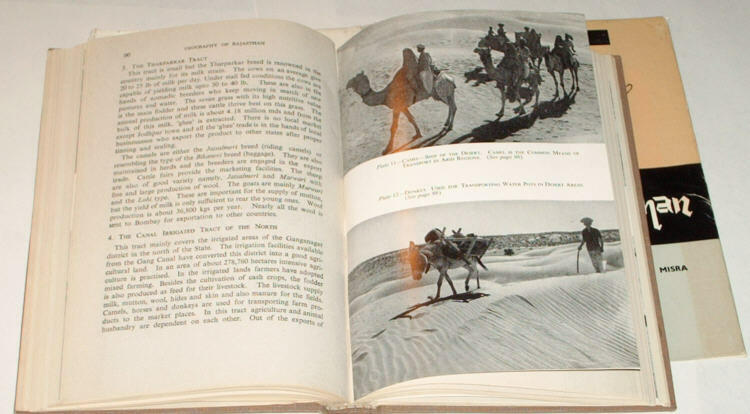 ISBN B0007JSZ2Y. 21 cm, oprawa twarda płótno oryginalna, brown cloth, obwoluta, VIII,,188, p.,  p. of photos, 24 maps. HB, Fine/Very Good. Stan książki idealny, obwoluta ma drobne rozdarcie z tyłu. See photos. Masa egz. 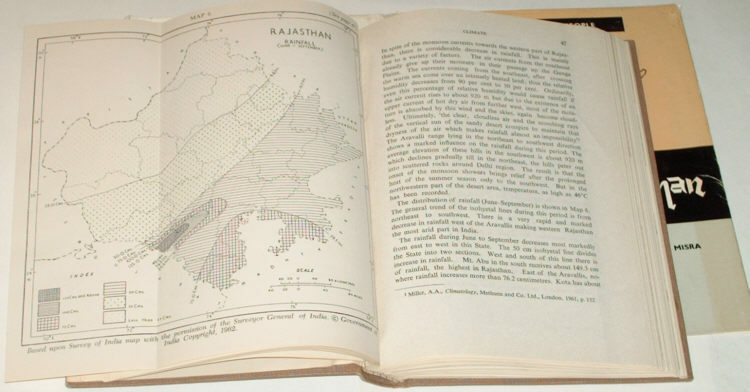 : 450 g.
Series: India - the land and people. Foreword by B. V. Keskar. Rajasthan is the area of India that borders with Pakistan.